This tutorial has as principal aim be a help for the use of the software Pictures Casting Software, the application has been created for the use of orthopaedic technical personnel and this implies a few professional sufficient knowledge on prosthesis and orthosis, the tutorial doesn’t contribute this knowledge for the food use of the software. For the correct use of this software, it is necessary basic knowledge in Windows. This tutorial contains videos of examples, you need an equipment with a connection to the Internet. Also, there exists the possibility of printing the tutorial, select the following icon to realise the printing. This icon will appear in the top part of the text. In addition, also we advise you to realise searches of the keywords in the column on the right, in the top part of the index. 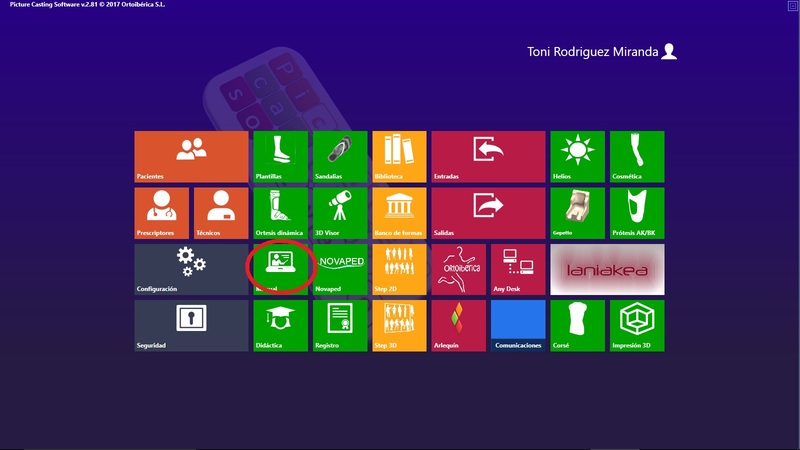 In the principal “menu” of your computer, you can find an icon with the tutorial (manual). To accede to this tutorial you need a connection to the Internet. NOTE: you can print this tutorial, but it will not be able to accede to the videos.